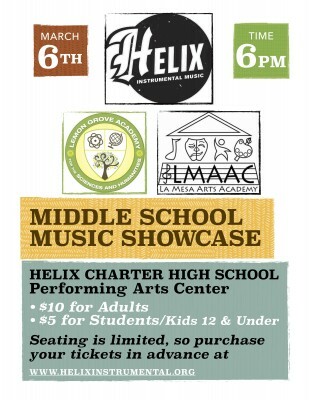 The music programs of Helix Charter High School, La Mesa Arts Academy and Lemon Grove Science Academy come together for one amazing evening of wonderfull music all on one stage. We will have a coffee and desert reception after the concert! Get your tickets today!! !